Polystyrene number 3 made from card faced polystyrene. 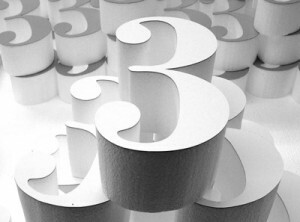 The numerals were made for a customer for use in shop displays. Three different sizes were made. 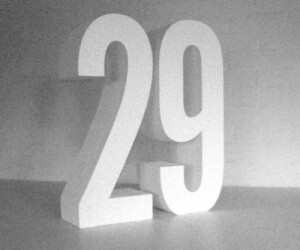 Polystyrene number 29, Impact font, 150mm thick, 1200mm high, white painted polystyrene numerals. Numerals were used for a photo shoot. For advice and a price on polystyrene numbers.